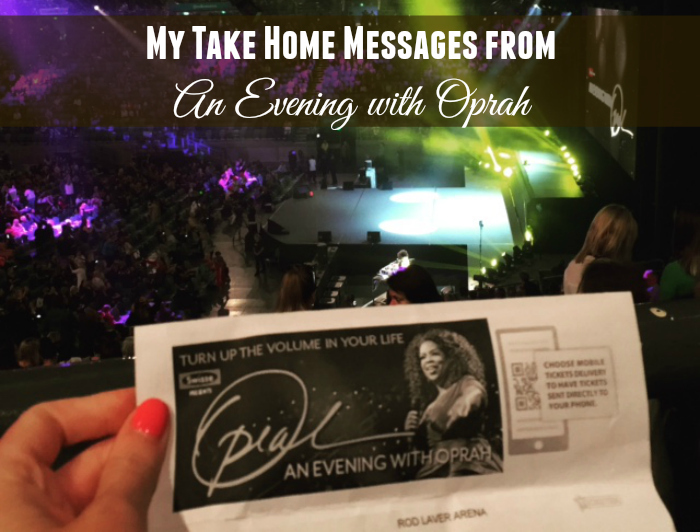 My girlfriend is an Oprah fan from way back – she had a subscription to her mag, used to tape her shows every day (and watched them at nights or on weekends) and flew up to see her in Syds five years ago. I’m a fan but not quite in the same league. I had loved Oprah’s show and felt like I’d grown up with her. I used to watch her through my school holidays and when I was at home studying during my long years at Uni. I always admired her capacity to talk about real issues and share people’s stories respectfully in a way that educated and inspired her audience. The notable exception being that mortifying couch jumping episode with Tom Cruise which I wish I could un-see! I loved her book club and picked up many books suggested by her. I loved that she was advocating reading, giving authors a platform and telling stories that inspired her audience while other US talk shows were exploiting and exposing the worst of humanity. So of course I was a yes to see Oprah. I just didn’t know what to expect. 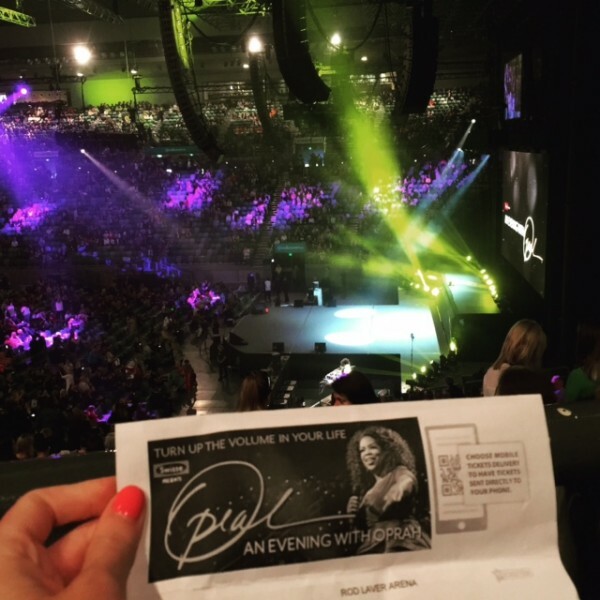 So, along with twenty thousand or so other Melburnians, on Wednesday night, I went to see Oprah. And what a great night it was. Faustina did a great job on the decks to get the crowd buzzing and dancing and then, at 8.15pm, Oprah came out on stage and absolutely mesmerised us. She spoke for 1 hour and 50 minutes without pausing, without a drink of water and she was absolutely enthralling. I could have listened to her for days. What follows were the key take home messages that I noted down on my phone during her talk. What I haven’t included are all her hilarious anecdotes, stories, photos, video clips and personal reflections – I’m conscious that some of my readers will be seeing her and I don’t want to give everything away. However, for those who didn’t get to hear O this time around, I hope what I’ve written below inspires and challenges you, as it did me. 1. We are all co-creators of our own lives – we have a say in what we choose, how we react, our intention and our energy. 2. 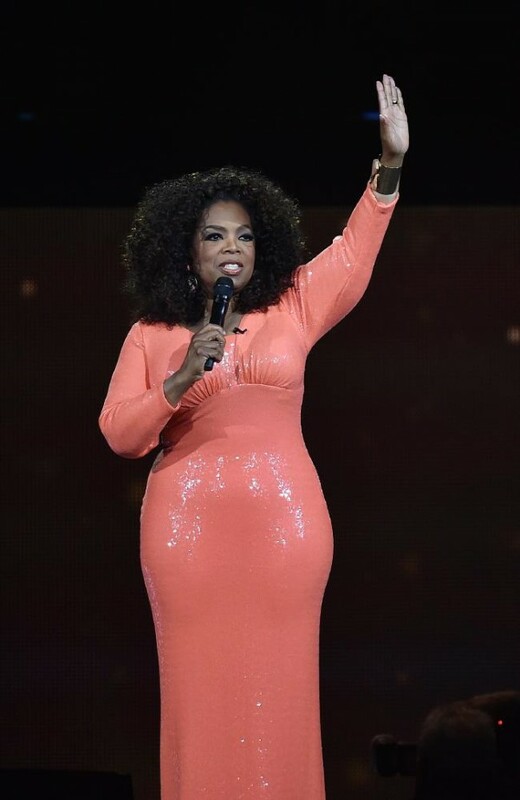 There is no life without a spiritual life – Oprah began and ended the night with this and it’s clearly the basis from which the rest follows for her. She talked of having moments in her life, from age 3, when her “spirit” (which she also called God, or the voice inside, instinct, gut or consciousness) spoke to her, often quietly but always profoundly. That quiet voice, that whisper, that you sometimes need to listen to carefully to hear. She quoted the famous words, “We are not humans having a spiritual experience; we are spiritual beings having a human experience”. Inside each of us is our spiritual self and our success, the key to sustainable success, is being connected to your spirit. 3. You need to create time, space and quiet to listen to your spirit – O loves meditating beneath her Oak trees and finds that having regular time to be quiet, still and listen connects her with her spirit. You can’t hear your voice if you let the voices of the world drown it out. She commented that often when people don’t know what to do and constantly ask others, what they should do, there’s a lot of noise. They haven’t made the time or space to listen to themselves. We need to create this space and listen to become our authentic empowered selves. 4. You are the Master of Your Own Fate; the Captain of Your Soul – O recited the poem, Invictus (written by English poet William Ernest Henley in 1875), when she was 8 years old and the final two lines became a mantra for her. The upshot of this for O is that no matter what happens, you have control over your choices. Her Grandma, who worked all her life as a maid for a white family, hoped that one day Oprah would find nice white family to work for, a family that would give her food to take home occasionally or even some clothes. But Oprah had other ideas. And it turned out that her aspirations where nothing compared with the bigger dream that God had for her. 5. Sustainable success lies in being connected to who we are and what our purpose is – by tapping in and knowing why we are here. Oprah reckons we are all born called to something. If you honour your curiosity and look for the threads that make up your life, you’ll find what you are called to do. 6. Our purpose is to serve – how can you use what you do to serve others? This is the goal. 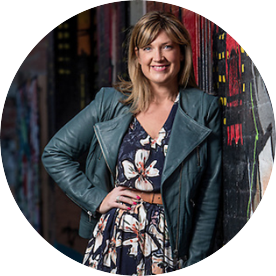 O’s purpose is to really hear people, their stories and validate them. 7. People need to be heard, to be seen and validated – this is often at the root of all conflict. It’s a matter of cutting through to find out what people are trying to say and acknowledging them and what they are saying. 8. We live intentionally – once you understand and acknowledge your intention, what you really mean and feel, and act accordingly, you can end resentment and start being your authentic, empowered self. 9. Be aware of the Disease to Please – we need to be real and honest with ourselves. The Disease to Please and constantly seek other people’s approval just creates resentment. By saying yes when you mean no, you’re trying to get people to see you as nice when maybe you’re not and you end up doing what you don’t want to do. Oprah shared a hilarious convo with her partner Stedman who told her she’s not nice so why she’s pretending. She might be kind and generous but actually, she’s not “nice”. Some of us even wonder why people keep asking us to do what we don’t want to do. It’s because we always say yes to them, so they think it’s ok to ask again. It’s better to do what you really feel called to do. 10. The energy we give out always comes back – for every action, there’s an equal and opposite reaction. If you give out hate, envy, jealousy that’s what will come back to you. The same goes for love. Love begets love. You co create your life with the energy you put out. 11. We are all responsible for the energy we bring – O has a sign to this effect outside her make up room. 12. You become what you believe about yourself for yourself – despite her humble beginnings Oprah had no limiting beliefs about herself. Growing up in poverty in rural Mississippi, she believed she was a child of God and that Jesus was her brother. She didn’t buy in to the “facts” that her parents had a one night fling and never married. She did not buy in to what other people said and wanted her to do. 13. You only have power in your field – you can’t control anyone else’s choices. As parents, we can “manage” our kids for a short time, but then, as they get older, we become “consultants”. We cannot control them past a certain point. Adults can’t control each other and we need to accept and take ownership of what we can control – our own choices. 14. Your life is speaking to you in every trial – nothing that happens is wasted, even all the horrible, painful experiences, and there’s no such thing as failure. There are only detours and when something doesn’t work out, it’s setting you on the right course for you. Knowing what doesn’t work is great info to have. Overall I found Oprah really inspiring, funny and totally captivating. She is such an excellent speaker, so grounded and knows her audience so well. It really was a night to remember. Did you see Oprah on Wednesday or another time? What did you think? Thoughts on the above?